Our Medical Director, Dr. Mark Perrotti, is one of a small, elite group of physicians in the state of Connecticut who has passed both his written and oral boards in bariatric medicine. And at MedTeam WeightLoss, bariatric (weight loss) medicine is all we do. Did you know, MedTeam Weight Loss is sponsored by the American Society of Bariatric Physicians (ASBP) and all of our practitioners are members of the ASBP. Our Medical Director, Dr. Mark Perrotti, is one of a small, elite group of physicians in the state of Connecticut who has passed both his written and oral boards in bariatric medicine. And at MedTeam WeightLoss, bariatric (weight loss) medicine is all we do. 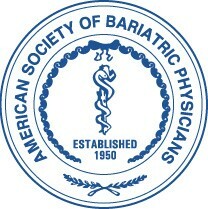 What is the American Society of Bariatric Physicians (ASPB)? The ASBP exists to advance and support the physician's role in treating overweight patients. ASBP is a medical professional association for physicians, nurse practitioners and physician assistants who are focused on the treatment and management of overweight and obese patients and their related conditions and co-morbidities. ASBP is the primary source for clinical education and training for the medical management of obesity. Physician supervision is necessary to detect and treat weight-related medical conditions. A program supervised by a physician who is a member of ASBP and who has completed specialized training in obesity medicine offers a comprehensive and effective approach to maximizing overall health and reversing co-morbidities. What are the Bariatric Guidelines? MedTeam Weight Loss is American Society of Bariatric Physicians Bariatric Guidelines Compliant.